We offer a large selection of Accessory items. On this page you will find Mutes, Humidifiers, Practice Aids/Hand Health, Wolf Tone Eliminators, Cleaners/Polishes, Fine Tuners (string adjusters), Peg Compound, Instrument Stands, and more. Many of the items listed here you might not even know existed, so feel free to browse. Also, we are always on the search for new products, so let us know if there is an item you would like to see included in our selection. Available in Single or Double Hole. Single hole model fits on one string. The Double hold model fits on two strings. 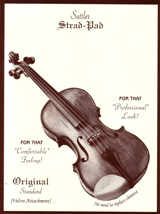 For 4/4 size Violin or Viola. 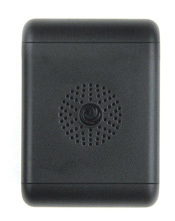 Compared to the metal mute, this product is not as quiet, but has a warmer tone, which is more pleasing to most players. Also, it's safer for the instrument, as the metal mute is slippery and heavy, and if dropped on the instrument can cause varnish damage. For 14 inch Viola, select the 4/4 Violin mute instead of this product. The benefit of this design is low rattle. The magnetic portion secures the mute firmly against the tailpiece when not in use. Other Mutes can buzz when not in use. Fits 4/4 Violin and Viola. This is the style of mute used historically. It's effect is somewhere between a modern orchestra mute, and a practice mute. An old design that still functions very well. Secure when not in use, and low cost. Suitable for use with steel strings. As with other tuners, these tuners are not as effective when used with synthetic or gut core strings. Does not require professional installation. This accessory adapts a ball E string, for use with a Hill style tuner. Does not require professional installation. Also known as Piccolo. This tuner is suitable for Violin E or Viola A, with steel core. It sits on top of the tailpiece, which has the same benefit as the Hill style, by not shortening the "afterlength" of the string, like the double prong type. Violists using a synthetic core, or gut core A string can use this tuner, but it will be less effective, as these string types are elastic than steel core strings. Does not require professional installation. Suitable for use with steel strings. This tuner installs on the string itself, and works to adjust the pitch by deflecting the angle of the string. Fits any size Violin or Viola. Does not require professional installation. Premium double prong tuner. Lightweight and precise. 1.8 grams. Does not require professional installation. Titanium and Alumininum/Titanium models for steel and gut/synthetic strings. Does not require professional installation. Narrow slot is for steel core strings. Wide Slot is for gut and synthetic strings. Fingerboard guide that shows the position of notes. This is superior to using tape, as it is flat. Tape can cause strings to buzz. Two per container. Covers the stick and part of the frog for extra comfort. 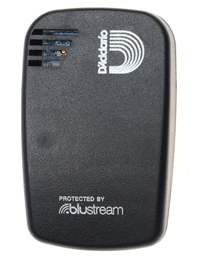 Similar to the popular Dalco products, which are no longer available. This practice aid helps with proper bow hold, by providing a space for each finger of your right hand. Large size is for adults. Smaller sizes are for students. Provides support and warmth. Sold Singly. Available in Black, Brown, Camel, Hot Pink, Navy and Purple. Color selection is made in the shopping cart. Covers the stick and front portion of the Frog for a more comfortable grip. Thinner than the surgical tubing many players use. Anti-fatigue bow frog cover. 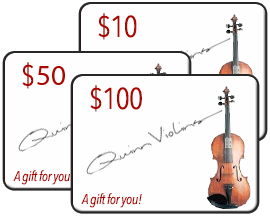 One size fits all 4/4 bows; Violin, Viola or Cello. Thumb indent is a comfortable location to place your thumb, and is the main feature of this product. Mounts inside your case for consistent, convenient protection. Releases the correct amount of moisture automatically. Distilled water is recommended for longest life of the product. It's easy to know when you need to add water, because the container shrinks when nearly empty. The Case "Plus" model is for extremely dry climates. The original instrument humidifier. Fits in the F-Hole of the instrument. Daily filling is necessary under extremely dry conditions. Use distilled water for longer life. 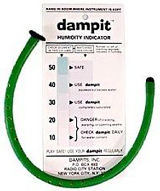 Includes a humidity guide, to show you when to use the dampit. Gel pack holds a lot of water, and releases just the right amount of moisture automatically. For Violin or Viola. This is the long-awaited humidifer from D'Addario. They used to have a very popular product, which was discontinued. This new humidifier is sure to become a favorite as well. 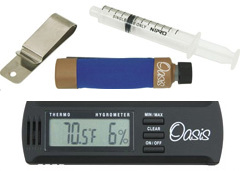 Mounts easily in your case for convenient, consistent moisture levels. Temperature, Humidity and impact sensor with BlueTooth Connectivity. Adds or removes moisture on its own (eliminates messy sponges, hoses, discs, etc.). 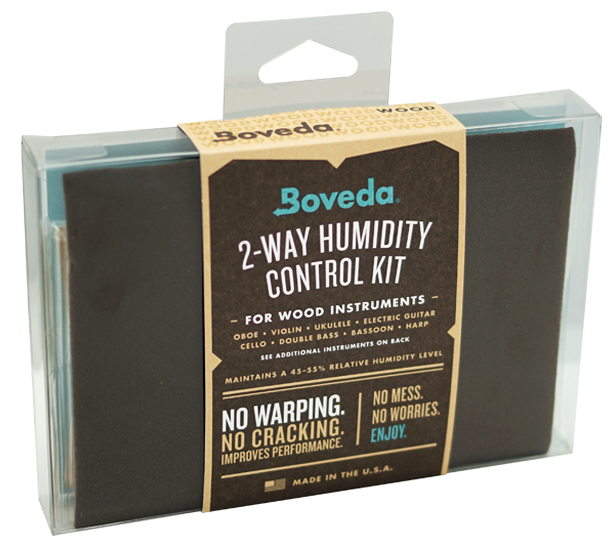 Maintains a constant relative humidity (RH) between 40-60%—the ideal climate for wood instruments. Automatically responds to any storage environment, geographic location or change in temperature. Starter kit contains one Boveda which is suitable for Violin, Viola, Mandolin, Ukulele or other small wooden instruments. For Cello, you will need 3 Boveda. This product is not so much a wolf eliminator as a tone adjuster. It can function as a wolf tone eliminator, but the intent is to use it to modulate the response and tone balance of an instrument by experimenting with the best placement on the body. Attaches magnetically. Attaches to the G or C string behind the bridge. Changing the position modulates the effect. Similar to the Danish model, but made by Super Sensitive, and sold a a lower cost. Available in a range of weights, to match the relative severity of a wolf tone. Attaches to the string behind the bridge, as other models, but does not have a rubber insert. The metal to metal contact allows this product to be lighter, thereby causing less dampening effect on the instrument as a whole. 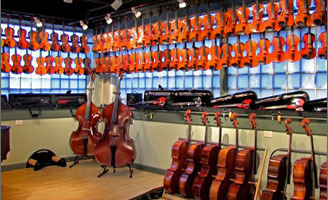 Image shown includes Cello and Bass models. These were originally available only in a Beige color with rubber band attachment. Now, other colors are available, and a lower cost Velcro attachment model is produced. Covers the Chinrest and Chinrest Hardware for more comfort. Washable. Fabric pad that covers any style of chinrest for added comfort. Moldable to make a custom fit with your chin. 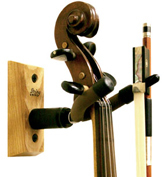 Fits most shapes of 4/4 Violin or Viola chinrest. Use this tool to install or remove chinrests with standard or Hill type hardware. Attaches to a Guarneri style chinrest surface for extra comfort. 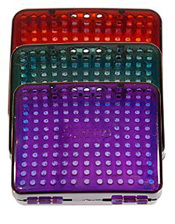 Available in several colors Can be removed, and replaced many times. The liquid alternative to Hill compound. The advantage of this product is that you do not have to completely remove the peg to apply it. Vibrations of a specific frequency and amplitude cause the instrument to become more responsive and have a mature tone. We've used this product with success in our shop for years. On many instruments the results are positive. 20 pads you can use to clean your strings after playing. Extends the life of your strings, especially those wound with Aluminum. A very comfortable shoulder strap, for use with any brand of Violin or Viola case. Carrying your case a lot? This product puts a price on relief. Chrome Plated, with slip cover. Intended for use with plain gut (unwound) strings to keep them moisturized. Use these products for convenient access to an instrument by mounting on a wall, or microphone stand. 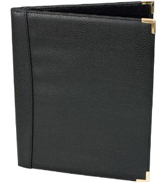 Holds pages up to 13.25 x 10.5 inches. Reinforced corners and expandable interior pouches. The standard choice of instrument cleaner for years. Use sparingly. Made by D'Addario. Treated, so no polish or cleaner is required. Made from high-quality, double napped cotton flannel. 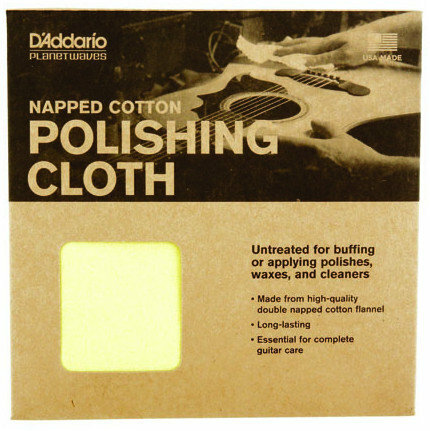 Made by D'Addario. Use dry, to clean and polish your instrument without cleaners or polishing products. 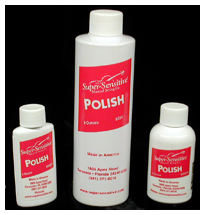 This is the polish we often use in our shop. 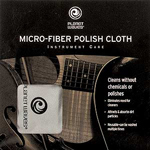 Kits include a polish cloth. Wittner always gets it right with new products like these. Mechanical pegs which fit the existing peg holes of your instrument. Accurate tuning, without the use of fine tuners. Professional installation recommended. Two sizes available, depending on the size of the pegs currently on your instrument.